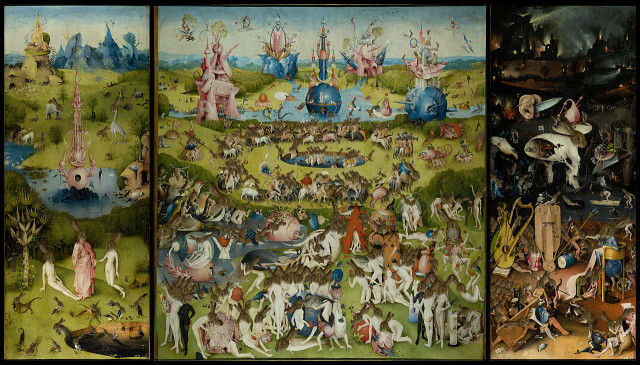 This piece features every face in Hieronymus Bosch’s “Garden of Earthly Delights” 1503-1504 replaced with the rabbit head from the original painting (including most animal as well as human faces). Over 100 faces have been replaced. 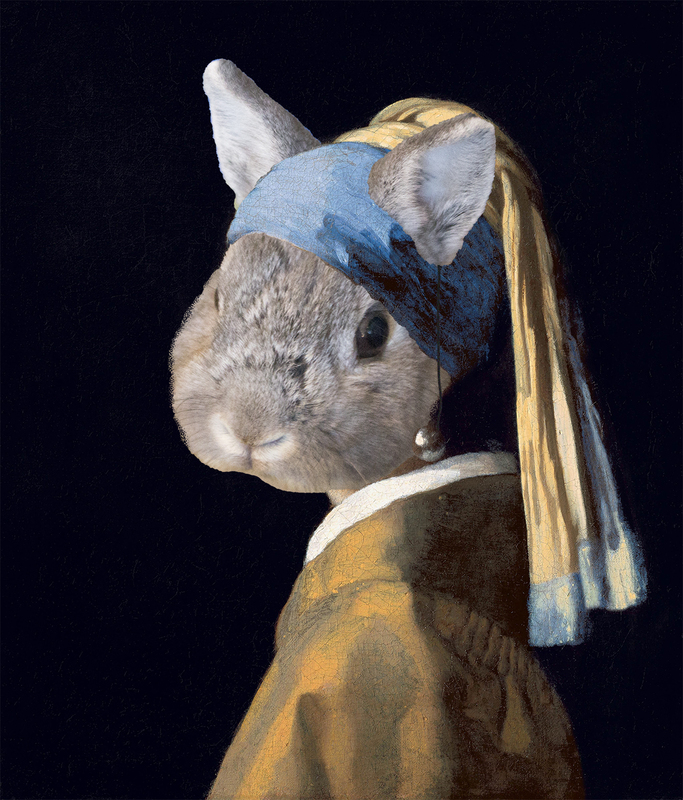 This is based on “Girl with the Pearl Earring” 1665 by Johannes Vermeer featuring Scooter, my adopted rescue bun from Bunny World Foundation. 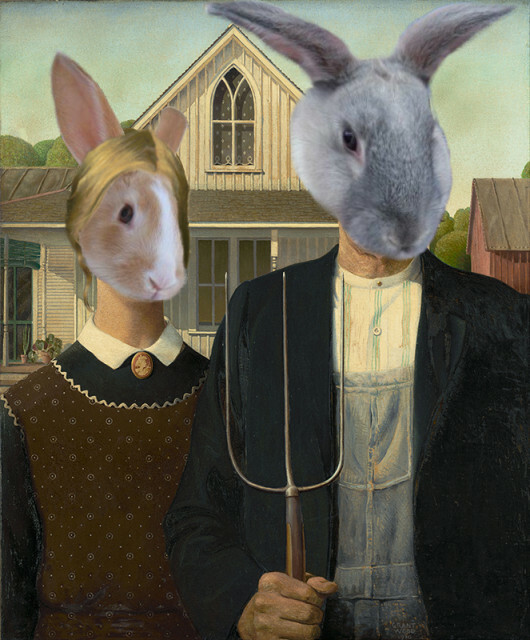 You can support BWF by making a donation, becoming a foster volunteer, or by adopting your own bun! This one is based on “Birth of Venus” by Sandro Botticelli 1484-1486, and features Peter Parker, my adopted rescue rabbit from Bunny World Foundation. 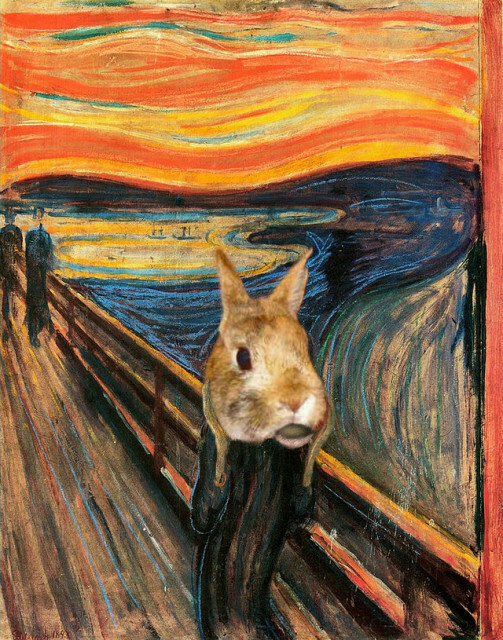 “The Bun Scream” is inspired by “The Scream” by Edvard Munch 1893. 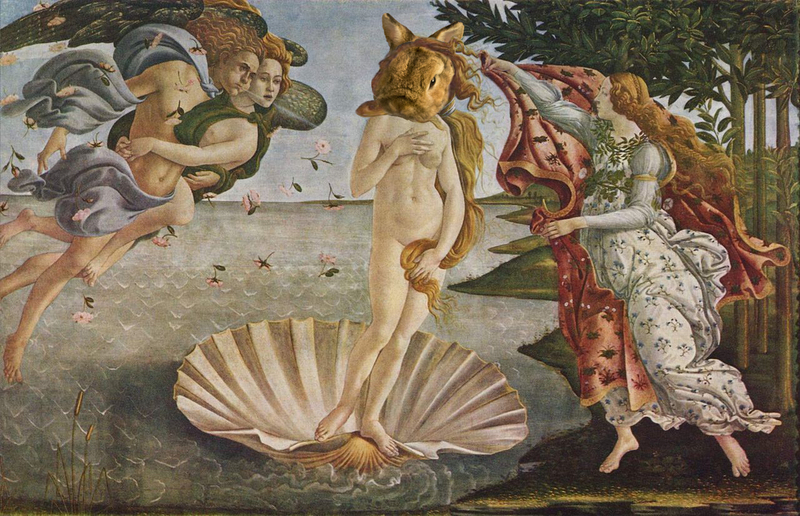 It stars Butterscotch, an adoptable bunny from Bunny World Foundation. This is based on Grant Wood’s “American Gothic” (1930) and features Carrot and Daffodil, adoptable rabbits from Bunny World Foundation. This was first featured in my inbox zine, Rusty’s Electric Dreams. –Rusty.